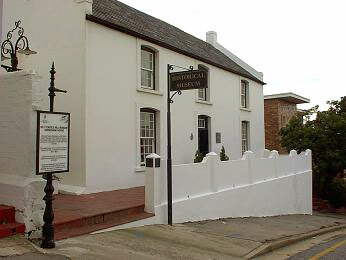 Situated right in the city centre, No 7 Castle Hill is a picturesque Victorian cottage museum dating back to 1827. It's one of the oldest remaining houses in Port Elizabeth and is furnished as a family home of the mid-Victorian period, depicting the early Settler way of life. Need to know? Staff will provide general tours or special interest tours on request. To arrange this, please contact +27 (0)41 582 2515. No 7 Castle Hill is 8.2km from the centre of Port Elizabeth , the nearest airport 2.9km (Port Elizabeth Airport).